We are a TICA registered cattery located in Caldwell, Idaho within driving distance of Washington, Oregon, Nevada, Utah, Wyoming, and Montana offering Ragdoll kittens in the colors of Seal and Blue. Both with Lynx(tabby striping) and without in the Colorpoint, Mitted and Bicolor patterns. Countryside Ragdolls is an indoor only, early alter cattery with a no declaw policy. 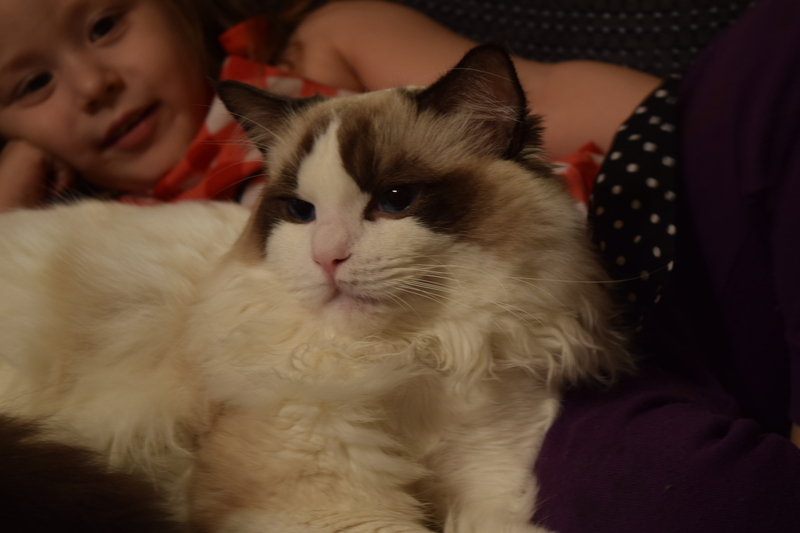 We are a small cattery raising our Ragdolls lovingly underfoot in our home with our children ranging in age from 4-14, and our female German Shepherd Mika. Our breeding goal is to produce healthy, happy, and well socialized kittens that meet the breed standard. We breed True Blue Eyed Pointed Ragdolls in the acceptable, registerable, and showable patterns and colors. We DO NOT breed for Minks, Sepias, or Solids. Kittens will come with two sets of shots, dewormed twice, their vet record, registration paperwork, and will be spayed/neutered by the time they are ready to leave between 12-14 weeks old. They ALSO come with a two year genetic health guarantee, a kitten package, and a bed. Ragdolls are affectionately called the Golden Retriever of the cat world. Their affectionate and playful nature with their doglike personalities and docile temperament make them wonderful pets for families and among one of the most popular breeds. They will undoubtedly provide quite a bit of laughter watching their antics as they grow from kittenhood to what could be upwards of 20lbs in adulthood. Each kitten is lovingly raised in a clean, healthy environment, socialized daily and will make a wonderful addition to your family. Deposits are non refundable but can be transferred to another available kitten or to a future litter. We cannot hold a kitten without a deposit in place. Kittens are offered to adopters in the same order reservation was received.